The Dood's Growing Banner Ad Portfolio. 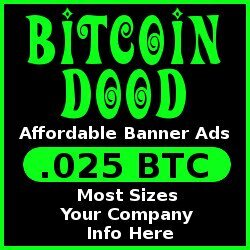 The Dood would love to add your banner ad to his growing portfolio. Prices start around .025 btc or $10.00 USD depending on the price bitcoin at the time of purchase. The Dood will design a few different styles for you to choose from using your company logo and info. Don't have a company logo? No problem The Dood can design one for you for an additoinal fee or you can use my royalty free images and your info to design the perfect ad for your business. With The Dood you get great work at a great price and help grow the cryptocurrency economy. This is a basic 250 x 250 banner ad I made to promote the banner ad business on Twitter. Banner ads this size are a perfect way to promote your business on Twitter, Facebook, Tsu, G+ and any other social media platforms you may be using. 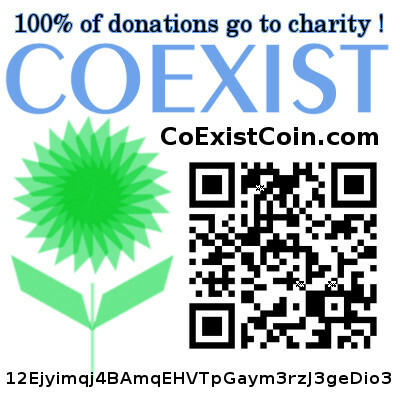 CoExistCoin was my first customer and I decided to donate my services for their cause. I really love this design. 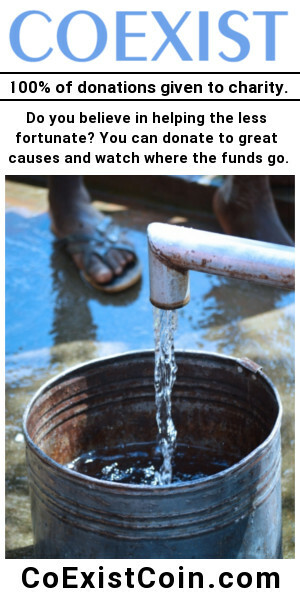 This is their logo, with a royalty free image for their clean water campaign. Simple chicklet design using customers logo, perfect link for blogs and bottom of web pages.